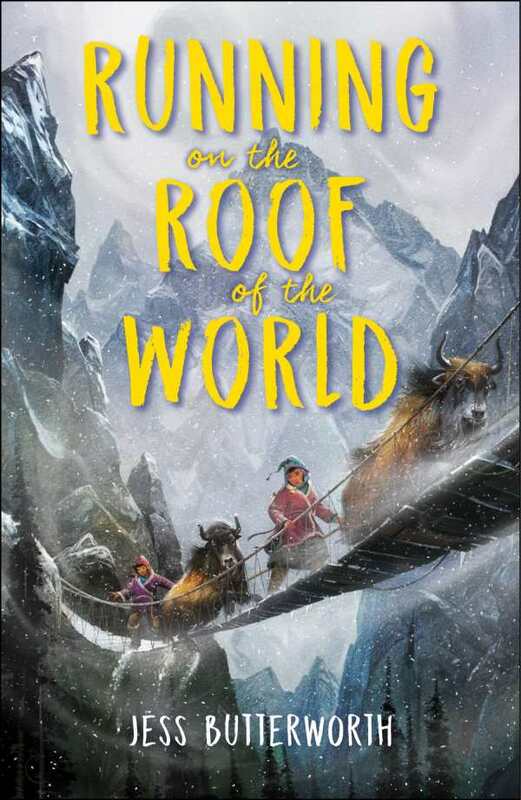 The rebellious Tash and cautious Sam are 12-year-old best friends living in a world full of rules, all with the same goal: avoid confrontation with the Chinese soldiers occupying their country, Tibet. But their careful lives are disrupted when a man sets himself on fire in protest of the occupation and Tash’s parents, members of the undercover resistance movement, are taken during post-protest raids. Tash suddenly finds herself homeless, parentless, and on the run from the Chinese soldiers. She decides there is no one who can help her except the Dalai Lama, and makes plans to journey across the Himalayas to find him in India. Of course, Sam is never far behind so together they set out with only two yaks, cryptic rebellion papers, and each other to save Tash’s parents. Jess Butterworth wastes no time jumping into the adventure that Tash and Sam share, and continues this swift pace throughout the book. From the opening lines, her presentation of emotion and scenery resonates in a way that complements the speed of the story exquisitely. This immediate use of action and description captivates the reader from the very beginning, and keeps them entertained until the very end. One of the best elements of Running on the Roof of the World is the dynamic between Tash and Sam. It is all too often that the protagonist is a strong and brave male while his female counterpart is simply shy and unsure. In this book, Butterworth has done the wonderful (and important) thing of reversing these roles which shows girls they can be fierce leaders and boys that they can be quiet and careful. There is also a complete lack of romance between Tash and Sam, as their relationship is more like that of siblings: argumentative yet tender and natural. Running on the Roof of the World is heavy stock made lighter and more optimistic, thanks to the lens of children. It is the perfect combination of adventure, friendship, cultural appreciation, and real-worldliness that make it a five-star read for kids and adults alike.